This breathtaking view is a part of the Maltese Archipelago. It is taken from the Sliema seafront. The magnificent Fort shown, has just been restored. You could also see the difference between the abandoned houses at the bottom of the photo and Fort Manoel. 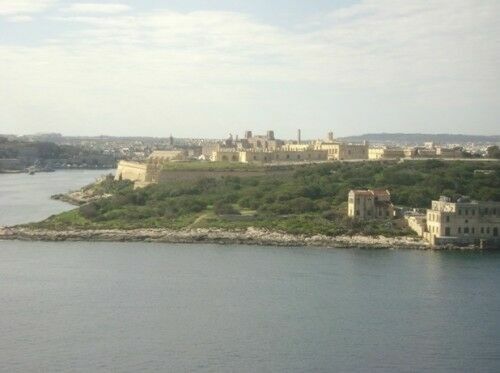 The purpose of the Fort was to protect the natural Marsamxett harbour. At the lower part of the island there was once a hospital for people who were infected with a disease known as the plague. The Hospital was called Lazaretto hospital. This picture clearly shows how the Knights made good use of the promontories available without creating uneccesary eyesores! Fort Manoel in fact blends in easily with the natural surroundings. We should make use of such good practices in all construction projects!